Life can be pretty hectic for a bride to be, from running errands, finishing wedding related tasks, preparing your new home, and not mention all the pre-wedding events that are taking place. This can all be overwhelming and stressful, and brides tend to get lost in the middle of everything going on. But we know exactly what you need, a relaxing massage! Whether it is only you, or a day spent with your close friends, a relaxing massage and turning your phone off for an hour or even two will help you calm down and get back on track. If you live in Lebanon or maybe just coming for a visit, then you must know that Lebanon has some amazing massage centers with experts that really know what they are doing. But it is not easy to find the right place to go to with hundreds of places claiming that they are the best in town, so to help you out, and make sure that you are in good hands, we have a list of the best massage places in Lebanon for you to check out. Take a journey in the world of the senses where soul, mind and body become a single entity. Using precious elements from the Mediterranean Sea combined with holistic ingredients found only in nature, here you will experience our unique philosophy blending natural elements with the latest technology delivered by a highly trained professional staff. Devoted to beauty, rejuvenation and relaxation, SPA Phoenicia specializes in Balneotherapy, Thalassotherapy, Thai relaxing therapy and Ayurvedic medicine. 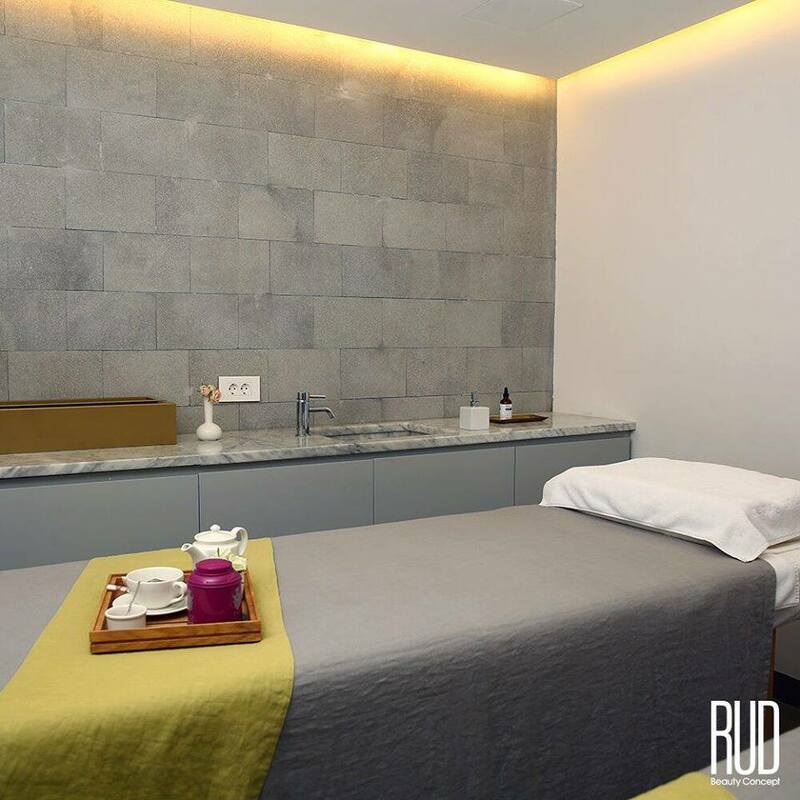 Created by a woman keen to offer other women quality beauty treatments in a distinctive setting, RUD brings a special touch of uniqueness to Mansourieh and Rabieh. he finest machines and products in the world come together to make RUD’s beauty treatments truly outstanding. Why settle for something ordinary when you can indulge in everything outstanding for the best prices? RUD is truly different. The moment you step inside, you will feel like you’ve been transported to Paris or Monaco. RUD is more than a beauty clinic. It’s a spirit that combines colours, music, and aromas. It’s your sanctuary of relaxation. A place envisioned to be your home away from home. Somewhere you’ll love to visit every day. A haven of well-being and distinctive tranquillity. A setting that seamlessly combines modern aesthetics with chic warmth: where raw concrete meets sophisticated simplicity. A space filled with positive energy. And all this is especially for you. Ki is the energy flow that each living creature holds inside, it is also the impact and effect we have on each other. Mantra is anything used for good purpose, meditation, protection and healing.it is a prayer, a song, a smell, a voice, a taste, or a touch that heals you and eliminates not only physical discomfort but also helps you achieve inner peace. Free your mind and surrender to Kimantra's personalized treatments. Kimantra is a place for relaxation that features the world's most famous and beneficial treatments. Desiring to introduce the healing art of massage, their treatments stay true to the spirits of traditions and promise you a refreshingly unique perspective that makes Kimantra much more then a spa. A DAY SPA AT THE HEART OF THE CAPITAL... Discover a world in which water, efficient treatments and feelings of well-being await you. 2,000 square meters on three levels dedicated to beauty, inner balance and toning in exceptional surroundings. G spa, a pioneer in the world of well-being and fitness, is a day spa nestled at the heart of Beirut, Lebanon. G spa offers services that include beauty care, well-being and fitness in an exceptional environment. A team of specialised professionals (physical therapists, physical trainers, beauticians, hairstylists, doctors…) ensure customer supervision and follow-up for a unique experience. Fiora Spa invites you to experience the wonders of a luxurious spa atmosphere. Enjoy this haven where you relax your mind, renew your body and refresh your spirit. In Thailand, the healing arts are passed down from generation to generation, from mother to daughter; from father to son. The Spirit Massage Center was founded upon this peaceful ritual. They began the center journey with a simple desire to pass this healing knowledge on to all guests seeking solace and relaxation.At The Spirit Thai Massage Center while the therapists bestow their expert touch upon your physical body, its effect resonates through the core of your wellbeing. 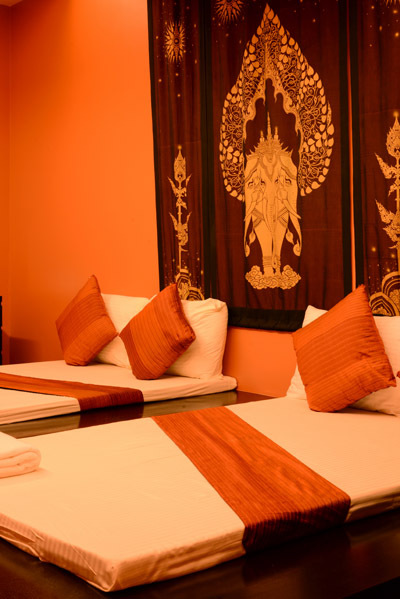 Classic modern Thai atmosphere, experience relaxation and rejuvenation. Thai massage at The Spirit Thai Massage Center will leave your body, mind and soul in complete bliss. 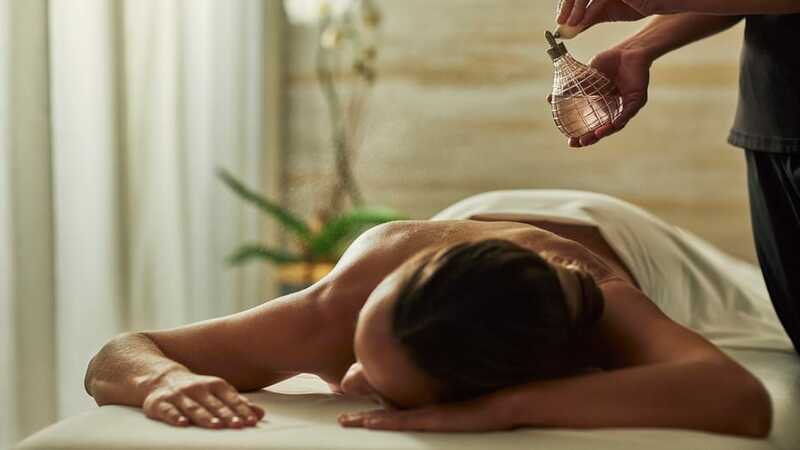 Whether you suffer tense shoulders or overworked legs, prefer a lighter touch or want to dig deep, the experts at the Four Seasons Spa and Wellness will work with you to tailor this massage to address your body’s unique needs. From massages to facials to lavish body treatments, let them help you plan a fun bridal party surprise or a quiet day of pre-wedding relaxation just for two.